Count on the same quality and value you expect from all Cardinal Health mobility products. The double push button feature allows easy folding/closing of walker, ideal for those with limited manual dexterity. Soft, cushioned hand grips provide comfort and stability while contoured hand grips help reduce fatigue and pressure. The lightweight frame is durable and sturdy. Double wheels in front offer smooth ambulation and maneuverability. 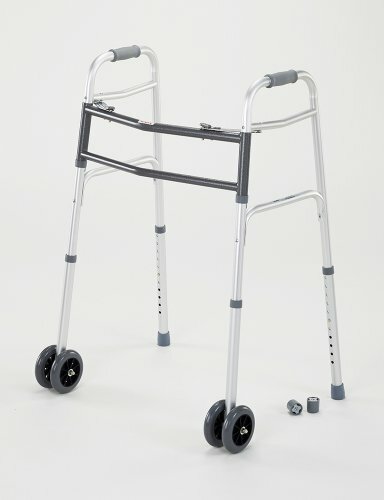 The walker supports patients up to 500 pounds.